Paragraph structure can break down like parts of a sandwich. 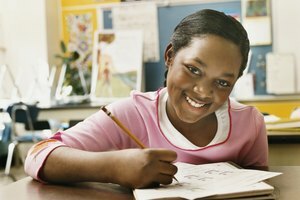 Understanding the components of a paragraph will help you improve your writing skills and may also help you improve your reading and comprehension. Your paragraphs should have a main idea and information to support the statement. 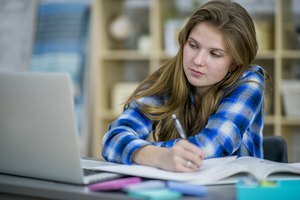 Each sentence has a role, and if you know how to break down the paragraph structure into individual parts, you can identify the role of each sentence. For the top piece of bread of your paragraph sandwich, you have the first sentence. The first sentence, also known as the topic sentence, contains the main idea of your paragraph. This sentence should not sound too general or too specific. You need to make a statement that you back up with the other sentences in the paragraph. As a basic example, a topic sentence that balances general and specifics might look like this: “Eating well can impact your health.” This top slice of the bread, this topic sentence, informs the reader about what she can expect to hear more about in the upcoming sentences. Underneath your top slice of bread, is the filling for your sandwich. These supporting sentences expand on the idea you present in the opening sentence. In the previous example, “Eating well can impact your health,” you might have supporting sentences that use research and data showing how a particular diet reduces the risks of certain health conditions. Essentially, this center portion of your paragraph will set out to prove your topic sentence. In looking at the paragraph as a whole, you can see how the “sandwich” forms. The topic and concluding sentences, the slices of bread, give the reader enough information to grab onto the subject matter. 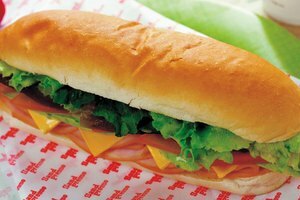 The middle sentences give the details, the taste of the sandwich – the meat, cheese, lettuce and tomatoes. 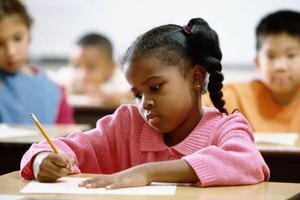 With strong topic, supporting and concluding sentences you can create a filling paragraph that gives the reader all the information she needs to understand the topic. What Is Operational Framework in a Thesis? Beck, Kate. "Sandwich Method of Paragraph Writing." Synonym, https://classroom.synonym.com/sandwich-method-paragraph-writing-20239.html. 26 September 2017.